Be enchanted as you enter the magical cavern at Grotta Palazzese, nestled in the cliffs of Polignano in the sublime Italian region of Puglia. With its classic Trullis, its simple land, and Mediterranean feel, Puglia offers a rich, diverse and inspiring experience in itself. However, a visit to Grotta Palazzese will elevate your experience of Puglia to new heights. Create memories and magic alike at this restaurant with a difference. Grotta Palazzese is like nowhere else on earth. A traveller’s dream, and a truly unique find await you. Dining here happens literally on a cliff edge, whilst nestled within a cave, chiselled in to the rocks, and both exposed and cocooned in Adriatic glory. Having spent your days exploring the Heel of Italy, you will be rewarded with a dining experience that simply cannot be matched. Winding down the 64 stairs to the restaurant itself, you will realise that your dining experience was just elevated to the incredible and awe-inspiring. Whether you choose to enjoy the hues of dazzling blue contrasting with the cave’s lush green reflections during a daytime visit with the bustle of Italian summer heights, or the spectacular sunsets at twilight mirrored off the sea, or a moonlit after-dark experience with ambient lighting, you simply won’t be disappointed. Grotta Palazzese is a dining experience of a lifetime. You won’t forget the magical memories made here, they will be etched in your recollections for ever. Open only for the summer months between Easter and October, this is a truly stunning location which is steeped in history. If you’re in Puglia during the summer season then make sure you make time for a visit here, you won’t be disappointed. Whilst you revel in awe at the setting and views, the dining experience itself is not to be missed. With a diverse range of local seafood such as fresh cod, tuna, mullet, mackerel, salmon and shrimp, paired with the finest local seasonal vegetables, the food here is divine, enhanced only by the incredible setting. In addition to the fruits of the sea there are heartier options of lamb or beef, as well as Puglia’s renowned pasta and rice dishes. Puglia, the ‘breadbasket of Italy’ is the Italian heartland of pasta, so this is an opportunity not to be missed. Finish off with a classic Tiramisu and an Italian coffee as you absorb your last moments in this elegant restaurant. The menus here are served with true Italian service and Puglian flair. The dishes are presented with an elegant twist that strives to compare to the natural cave setting. There is a tasting menu should it simply be too difficult to make up your mind, and the serving staff are ready to pair the very best wines with your choice of meal. Without a doubt, Grotta Palazzese is the romance capital of Puglia, if not Italy. Your soul will be moved as you experience the stunning scenery with a vista spreading out over the Adriatic. It is obvious why many travellers choose Grotta Palazzese as their wedding venue, a unique, never-to-be-experienced-elsewhere natural haven of romance and desire. The backdrop of this divine location lends itself to wedding photography that is inspirational, remarkable and one of a kind. For an ocean wedding with a difference, Grotta Palazzese is the place. After dining to the sounds of the waves crashing hauntingly on the rocks below, and whilst breathing in the salty sea air, then make your way back up and out of the cave to the enclosed dramatic Sea Lounge. With magnificent windows overlooking the Adriatic, you gain a slightly different perspective than from the cave below. The Sea Lounge is a perfect place to enjoy an after-dinner cocktail and allow yourself to continue your enchanting adventure before relinquishing your experience to memory. Grotta Palazzese is a truly beautiful dining experience, touching the heart, spirit and soul of every traveller who enters its cavern. No two experiences here are alike as the blend of weather, seas, and light all come in to play to provide a memory and experience that is as unique as you are. Puglia holds a restaurant gem in its hand: be sure to experience it. Sometimes I include Macarons in the table decoration (edible decoration) its colorful and for every season. 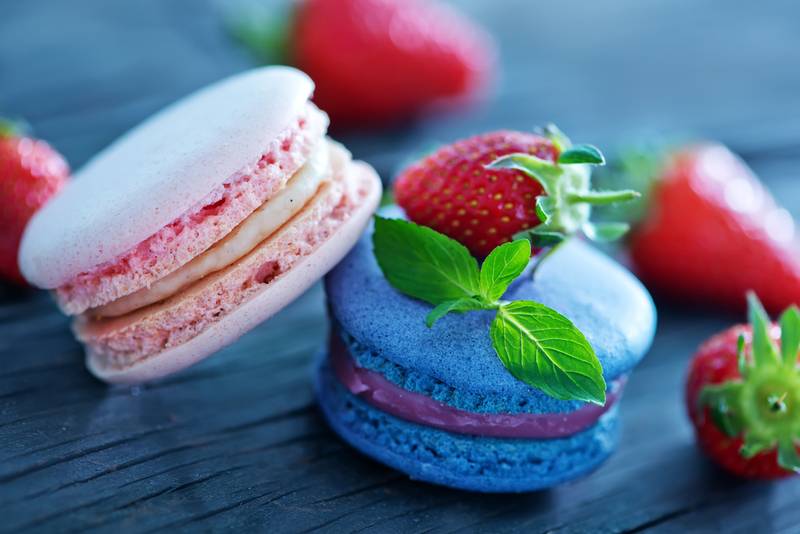 If you every have the chance to visit any of these cities try to take a brake and enjoy some Macarons and coffee. 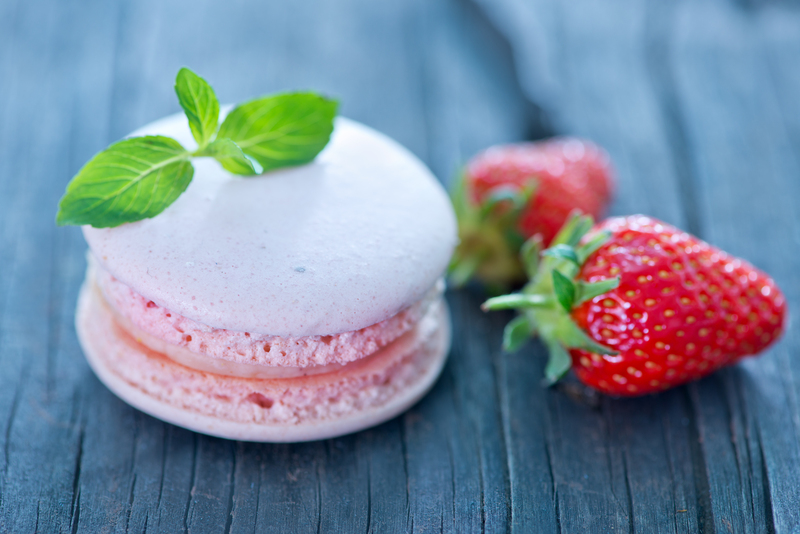 Where are your favorite Macaron places?